What you must do in Salt Lake City when time is of the essence. If you’ve got four hours of free time in Salt Lake City, you can put it to great use. That’s one of the things that makes visiting here such a big deal—everything’s so close to the airport, especially for a Western town that you can do stuff here you could never do in Denver or traffic-clogged Los Angeles. Plus, what we have to offer both tourists and locals beats most other cities, hands down, no matter where they are located. 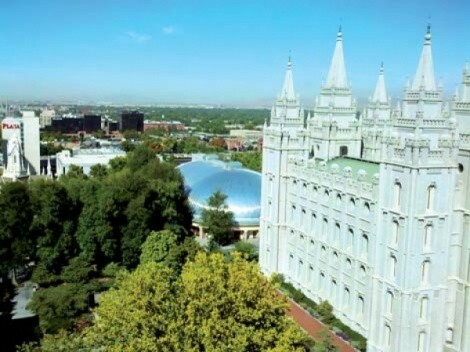 Number 1 on the list, of course, is Temple Square. Even if you’re a local, how long has it been since you’ve visited the American version of Vatican City? Stroll around the grounds, check out the exhibits. Take a look inside the Mormon Tabernacle—it might make you feel like Dorothy when she first saw the Emerald City. You can pay for an online service that will help you look up long-dead ancestors, or an employee of The Church of Jesus Christ of Latter-day Saints can personally assist you with your search—for free. It’s amazing how they can help you trace your great-great-great grandparents who came from the old country. Though still under construction, City Creek Center will definitely be a tourist attraction when it’s finished in the spring of 2012. Boasting a 22-foot waterfall, a meandering creek—using the actual waters of long-buried City Creek—and six acres of beautifully landscaped open space, the development, financed by the LDS Church, will also host a high-end mall. Free TRAX light rail connects City Creek with The Gateway, which is less than a mile away and offers its own mix of boutiques, restaurants and recreation options. But four hours is also long enough to take a ski or snowboard break. OK, you’ll be cutting it close, timewise, but you’ll earn great bragging rights. “Yeah, had an afternoon to kill, so I went to Park City and rode powder for a few hours.” You can actually tire yourself out on snow within this brief time span. The resort you can get to most quickly is Canyons, a few miles shy of Park City. Next is Park City Mountain Resort; each is about 40 minutes from the airport. But, a little organization is required to pull this off within the four-hour time frame. Book your van or have a car ready so you can make it up Parley’s Canyon quickly. Change into your snowriding clothes before you start the trip up, and carry your boots and gear. If you’re renting gear, reserve it by phone at a resort-based shop and get directions to the shop from the parking lot. Pay for whatever you’ll need (including lift ticket, which can be waiting at Will Call) before you leave for the slopes so you don’t have to take time to fuss with it. Arrange for the shuttle to be waiting for you at the time you have to leave to make your plane, appointment or whatever. Give yourself a little extra time, say, an hour instead of the usual 40 minutes from airport to resort, so potential stress is eliminated. You’ll be able to get to the resort, spend two hours snowriding, and get back to the Salt Lake Valley within four hours. Take an Olympic bobsled or skeleton ride. There are both summer and winter bobsled rides, but, of course, the winter ride is most like the Olympic experience. It’s expensive—$200, but worth it just to say you did it. Your ride is from the top of the 2002 Olympic bobsled run at the Utah Olympic Park in Kimball Junction (about six miles before Park City, on the Park City offramp from Interstate 80). The bobsled rides, which are surprisingly bumpy, hit 80 mph and a force of five times the pull of gravity. Or, drive yourself on a skeleton for $50. Though you go from the start designated as “tourist,” you’ll still be riding a sled down an ice track at about 50 mph. Skeleton rides are held in the form of classes, running throughout the day. 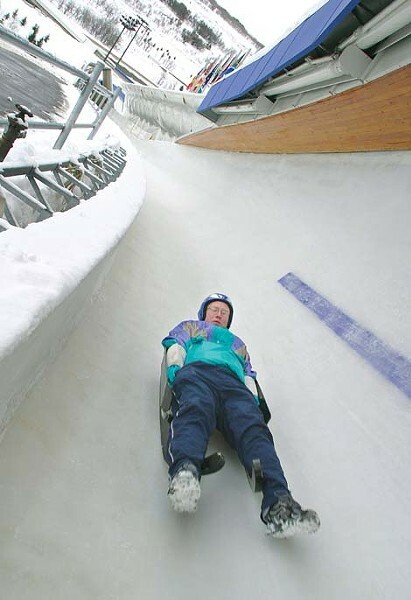 Register online for either the bobsled or skeleton experience at OlyParks.com, or call the park at 435-648-4206.